Pretty Ambon Island is part of a wider archipelago in Indonesia known as the Maluku Islands. Ambon is around 299 square miles in area and is known for housing the main city which is also called Ambon as well as the wider Central Maluku Regency. Ambon is also off the coast of the Seram Islands and is known for being one of the islands in the Banda chain which are volcanic formations surrounded by azure seas which teem with aquatic life. The islands in the Banda chain, of which Ambon is a part, are located within the Coral Triangle Area and the seas are made up of ocean trenches that drop to a depth of some six kilometers and are home to marine life such as hammerhead sharks and Napoleon Wrasse fish which are also an endangered species. The area was also declared a Marine Protected Area in 2008 and is colloquially known as the ‘Kingdom of the Fishes’. This region of Indonesia is less visited as a diving destination than other parts of the archipelago but it can more than hold its own against other more famous spots. This part of the country has also made a name for itself amongst diving aficionados for its muck diving, so if you want to explore the seabed in close detail and get up close to all kinds of marine life like scuttling crabs and shrimp then this is the place to do it. This is also an excellent spot for anyone who likes macro photography and you will also find several dive sites around the Ambon Bay area where you can take wide angle shots of shipwrecks and marine life. Unlike many other parts of Indonesia, Ambon has not been a victim of aggressive dynamite fishing which means that many of the reefs here are still intact. These offer you the chance to check out the beautiful coral gardens on show as well as the plethora of sea creatures that call the reefs home. Vividly coloured purple Rhinopia scorpionfish. 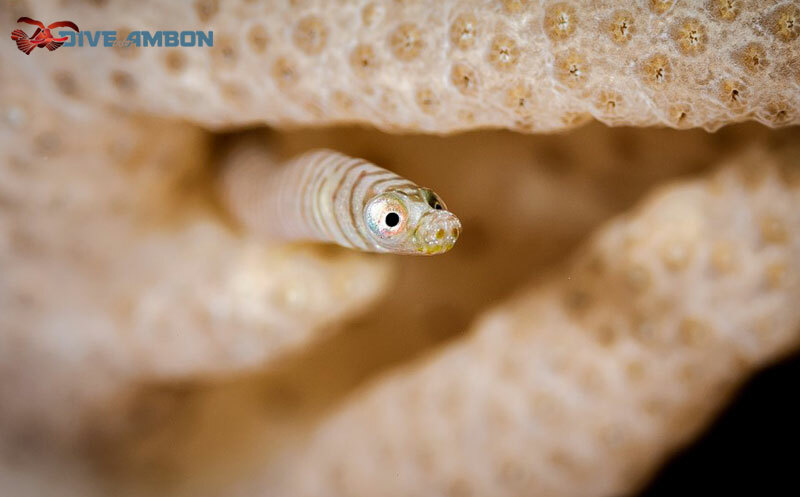 Ambon Bay is known for its macro life which means that muck diving is a popular pastime in the waters here. 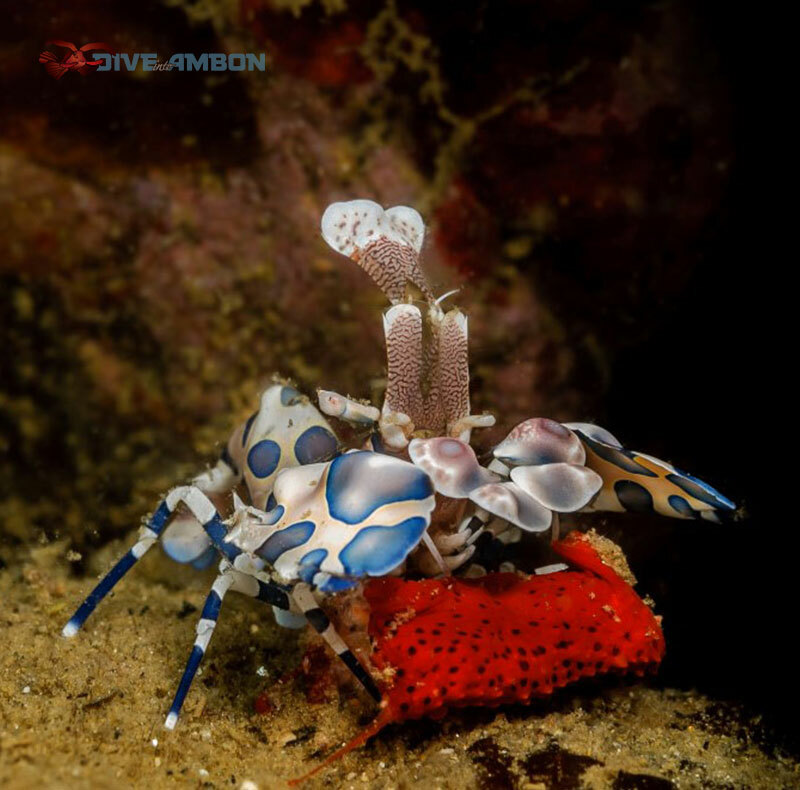 If you are diving in Ambon Bay then two of the most common species that you will come across include Rhinopias scorpion fish as well as Ambon scorpion fish. Another popular diving spot here is the section of the sea that looks out to Leitimor and here the visibility is excellent and you will get the chance to check out the eerie rock formation for which the waters here are known. These are also filled with pelagic reef fish which are perfect subjects if you are interested in underwater photography. There are also more than 20 dive sites to enjoy here which are studded around the main island of Ambon. Many of these are located in Ambon Bay itself, but there are also sites that offer you different experiences such as reef diving, muck diving and cave diving. 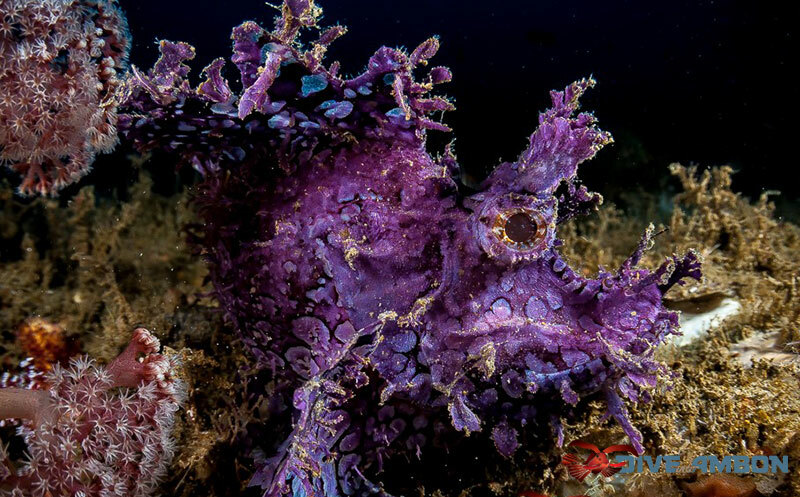 When you dive in the waters off the coast of Ambon some of the critters that you are likely to encounter include harlequin shrimp, ghost pipefish, mandarin fish, frogfish, cuttlefish, blue ring octopus and a variety of different kinds of nudibranch. You will also find pygmy seahorses as well as stonefish and even different species of sharks like hammerheads. Macro life here is abundant. Here is a soft coral pipefish. There are around 60 dive sites that you can enjoy if you are planning on diving Ambon, some of which see less marine life than others, but still have a lot to recommend them. Hukurila Cave is known for being an underwater cave which is off the coast of the district of Leitimur in Ambon. It is close to Hukurila Beach and is known for its stunning coral reefs which are filled with marine animals. There are several ways to access the cave, but you will need to squeeze through tight gaps of around two to three meters in width which is all part of the experience. Once inside the cave you can descend to a depth of some 20 meters and you will colorful schools of fish here as well as the gorgonian fans. Pintu Kota is an Indonesian name which means ‘Gate of the city’ in English and is located around an hour away from Ambon Bay. This dive site is so named as it is made up of a series of arches which measure around 17 meters in height and which look like gates located under the waters. This spot is known for being a prime location if you interested in muck diving or in underwater photography. Just some of the creatures that you are likely to see here include puffer fish, moray eels, parrot fish, snapper, trevally and sweetlips, and the visibility is excellent so it is also perfect for snorkeling. Just off the coast of Haruku Island you will come to a dive site that is known as Hard Boiled. This part of the sea bed in Ambon is known for its hydrothermal vents which are caused when bubbles of hot water come to the surface of the seabed and these also make the sand and the surrounding water warm as well. As a result, one of the tricks that many dive instructors like to show off is cooking eggs on top of these vents which cooks them so that they are hard boiled – hence the name of the site! You do not have to go far to dive around Ambon as Ambon Bay is filled with dive sites of note. One of these includes the wreck of a ship that dates from the Second World War and was sunk when it was bombed in the 1940s. The ship is some 100 meters long and sits on a slope and you can dive down to the wreck to a depth of between 12 and 25 meters, or in some parts even down to 50 meters. You will find a wide range of marine life around the wreck as well as some pretty coral. Pulau Tiga is the name of three islands which sit to the west of the main island of Ambon. The reason to come here is to check out the amazing fish here which are known to swim around the soft sandy slopes off the coast of the islands. This is also a great place to try drift diving as the coral slopes here make this a great activity and this is also a wonderful place if you are looking for crystal clear waters and excellent visibility. Harlequin shrimp taking care of its eggs. The best time to dive in Ambon is from October to May and the peak season is from October to January as this is also the dry season and sees the least rain in the region. The dive resorts and sites can also be busy around Chinese New Year time in February as well as April, but you will find it difficult to dive here after May. In July and August the monsoon rolls in and the visibility is very poor which is why most resorts close down completely at this time. Temperatures in the waters around Ambon are generally stable and from October to May you can expect temperatures of around 28°C. From July to September however water temperatures dip to around 24°C. From $834 to $919 per diver twin share for 6 days 5 nights. From $284 to $369 per non diver twin share for 6 days 5 nights. This dive resort will bring divers to Ambon.